In lieu of flowers, memorial donations may be made to Black Jack Church Building Fund and left at the funeral home. 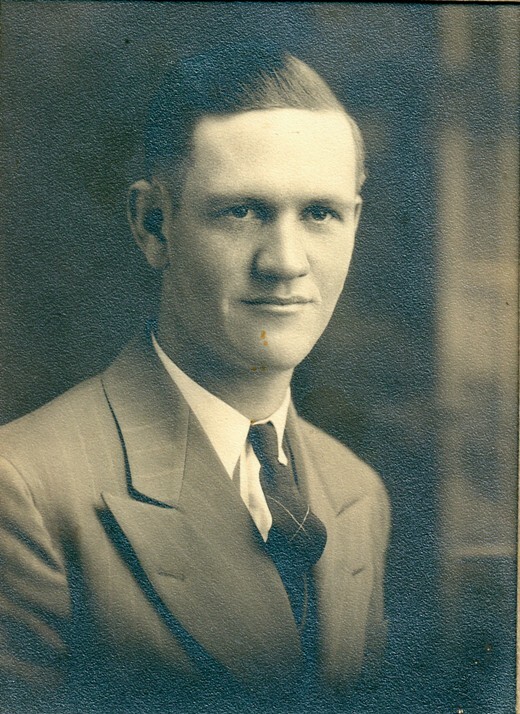 Gerald Willard Bland was the firstborn son of Lewis and Minnie (Burton) Bland on February 4, 1920, in Black Jack, MO. He entered Heaven on January 18, 2014, as a result of complications during hip surgery. He was preceded in death by his parents, his brother, Junior, his sister-in-law, Leola, and an infant brother, Kenneth. He is survived by his beloved wife of sixty-two years, Virginia; his loving sister, Wilma Burres and husband Lester; his nieces, Kathy and Karen Davis and husbands Jim and Nolan; three great nieces, Britni Dunham and husband Thomas, Tessa and Brooke Davis; and one great-great niece, Leah Dunham. Having Uncle Gerald as a father figure was indeed a blessing we never took for granted. Spending time with him made one a better person. Sharing problems with him made the burdens seem lighter. His kind advice and ever-present gratitude cannot be replaced. His sweet spirit and steady walk with God cannot be compared. He was the Christ-like model to follow for ourselves and our daughters. Our family has truly lost its foundation and fortress. Heaven will surely be worth the cost inhabited with saints like Uncle Gerald. Thanks for the care, concern and consolation you have provided our entire lives. Your legacy will continue through the many lives you’ve touched. “Knowing we can spend a lifetime reminiscing on the past, knowing we will see your face again, where tender moments last. It makes us wanna go there, knowing we won’t be alone. Knowing you’ll be there makes it easy to go home.” See you at “Home,” Buddy. Funeral services for Gerald Bland were held on Tuesday, January 21, 2014, at Bland-Hackleman Funeral Home with Rev. Joe Dodson officiating. Music included “Jesus Will Outshine Them All,” sung by Vera Bourland; “Knowing You’ll Be There” by Guy Penrod; and “Beulah Land” by Squire Parsons. Interment followed at Love Cemetery under the direction of Bland-Hackleman Funeral Home. Pallbearers were: David Henley, Wayne Worthington, Travis Bland, Trent Bland, Quinton Bland and Tysen Sayler.